Olay Anti-Wrinkle’s targeted solution minimises the appearance of wrinkles, so you can laugh in the face of wrinkles. 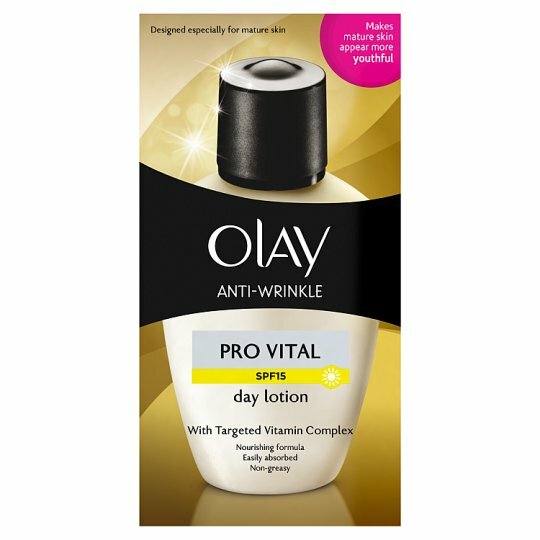 Olay Anti-Wrinkle Pro Vital anti-ageing lotion moisturiser has been specifically formulated for women with mature skin. It visibly reduces even deep wrinkles with a Olay’s powerful Targeted Vitamin Complex. 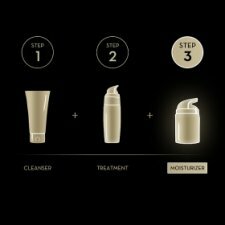 Research has shown that skin starts to behave differently as it matures. Structural changes in the dermal matrix and reduction in collagen levels make the skin appear thinner and less bouncy. Olay Anti-Wrinkle Pro Vital anti-ageing lotion with targeted vitamin complex with Niacinamide, Pro Vitamin B5 and Glycerin works to mimic the renewal behavior of younger skin. It helps to protect the skin surface dermal matrix while intense hydration helps restore firmness and elasticity. Lightweight non greasy formula with SPF15 protects your skin from UV exposure and helps prevent age spots. Apply liberally over face & neck every day after cleansing. Reapply during the day as necessary.